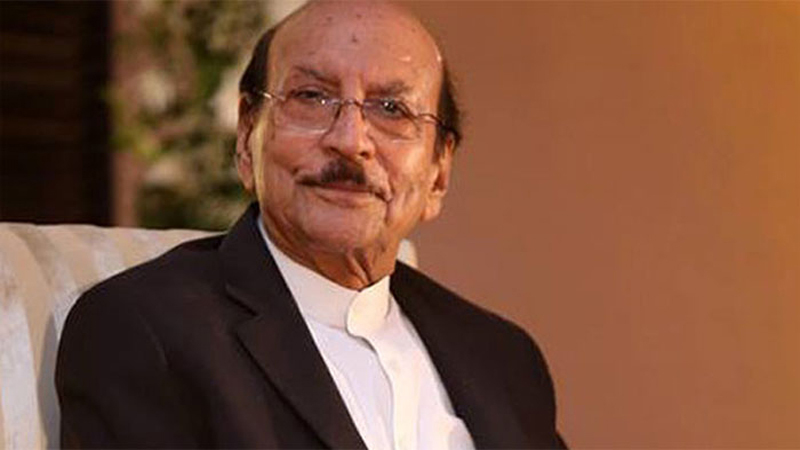 Former Sindh Chief Minister, Qaim Ali Shah, on Monday, knocked on Islamabad High Court (IHC) with an anticipatory bail petition to escape possible arrest in a fake account case. The appeal requested the court to grant him interim bail a day ahead of the hearing with reference to fake accounts, scheduled on March 27. Shah named National Accountability Bureau (NAB) Chairman, Justice (retd) Javed Iqbal; NAB Director-general (DG), Irfan Mangi, and Federal Investigation Authority (FIA) DG as respondents in his petition. A division bench of the IHC would take up the case on Tuesday. Pakistan Peoples’ Party (PPP) senior leader expressed fears that NAB officials may arrest him upon his appearance before the investigation team. Due to which, he contended, he was requesting the court to grant him relief to avert such happening. Shah cried of being politically victimised while adding he had been dragged into the case without any solid evidence. The PPP leader said he had been politically active since 1960 when he was elected as chairman of the Khairpur district council before successfully contesting the general elections. He was the longest-serving chief minister of Sindh and had completed eight consecutive years in office. The petition stated that the 85-years-old former chief minister was entitled to pre-arrest bail due to his old age. The ex-CM was named in a report by the Joint Investigation Team (JIT) tasked to investigate the case. He, as well as 172 bigwigs, were placed on the no-fly list by the interior ministry in the compliance of a directive issued by the Supreme Court. Former president, Asif Ali Zardari; his sister, Faryal Talpur; former president of Summit Bank, Hussain Lawai; Omni Group’s tycoon, Anwar Majeed; property magnate and Bahria Town’s Chairman, Malik Riaz and his son-in-law, Zain, have also been placed on the Exit Contol List (ECL) because of their ongoing trial by the anti-corruption watchdog. Earlier, the SC had ordered to forward the fake account case to NAB, directing it to wrap up its investigation within two months in January. The orders were issued during a hearing of a suo moto case regarding the delay in a 2015 FIA investigation against money laundering of billions of rupees via fake bank accounts. A few days ago, the top court also instructed Sham to cooperate with NAB in the illegal allotment case against him. He was questioned about the land he had allegedly allotted to Bahria Town even though he did not hold any power in this regard. In response, the former chief minister had told the court that he believed NAB was out to get him. He cried that he had nothing to do with the illegal allotment case. Meanwhile Islamabad High Court (IHC) on Monday decided for hearing the National Accountability Bureau’s (NAB) plea against exoneration of former president and Pakistan Peoples’ Party (PPP) co-chairman Asif Ali Zadari in Polo Ground Reference. Islamabad High Court’s (IHC) Divisional Bench will take up the case on April 18, informed the sources. A two-member bench of the IHC comprises of Chief Justice IHC Justice Athar, Justice Mian Gull Hassan Aurangzeb will hear the case. The anti-graft watchdog had challenged the accountability court’s verdict of acquitting the former president in the polo ground reference.